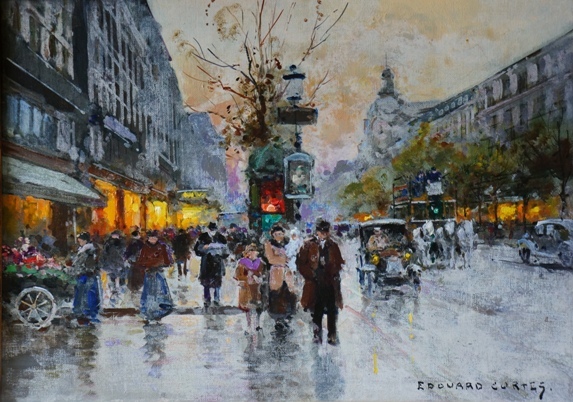 Hiro Fine Art is interested in purchasing artworks by Edouard Leon Cortes. Edouard Cortes was born in Lagny, France in 1882 to a family of artists and artisans. His father and grandfather were both accomplished artists and taught Edouard at any early age. At the age of 16, Edouard exhibited his first painting at the Societe des Artistes Francais. The painting titled La Labour was successful among the public and critics and the press praised the young Cortes. 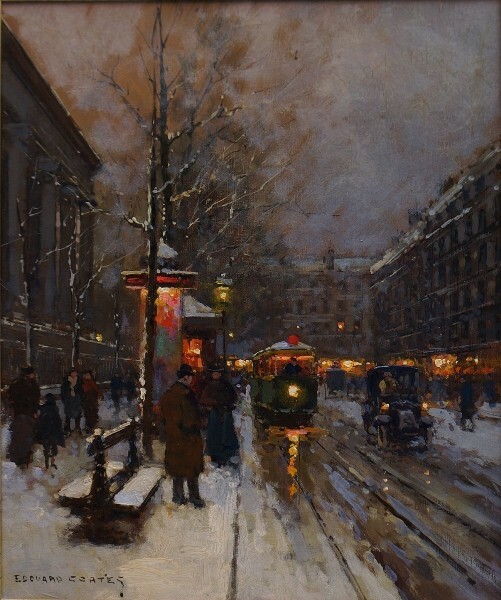 Edouard Cortes became a member of the Societe des Artistes Francais and would exhibit his paintings yearly at the Societe Nationale and the Salon des Independants in Paris. Cortes went on to win a Silver Medal at the Salon des Artistes Francais and a Gold Medal at the Salon des Independants. Cortes became famous for his Parisian streetscape paintings. He was a prolific artist who captured the beauty of Paris in all its seasons and colors. His paintings can be found in important public and private collections throughout the world.